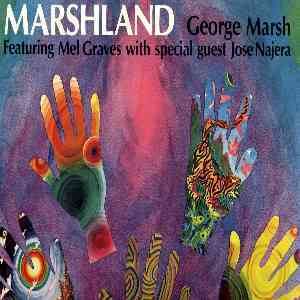 I recorded and mixed George's Marshland album at 1750 Arch Records studios in Berkeley in 1982. 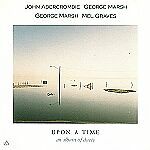 Upon A Time - an album of duets is a 1989 compilation containing 6 pieces from Marshland. I always loved working with George Marsh and Mel Graves on recording projects, separately and together, and we did a lot of it, for well over ten years, beginning with those terrific musical explorations taking place in the recording sessions at Pacific High Recording in San Francisco in the late sixties and early seventies for Denny Zeitlin's album Expansion, and for the notorious Ghost Opera album.